HEC is the latest AAU achievement that showcases the latest educational technologies and acts as the nucleus for delivering premium quality education to the Jordanian community. Ultimately, the eLearning Center of Excellence aspires at turning Al-Ahliyya Amman University into the primary preference for education in Jordan and the Arab world by presenting learners and instructors with state-of-the-art tools and a top-notch academic environment that allows for innovative instruction. The Center is equipped with a state of the art equipment, technologies, and systems; in addition the center focuses on the Human Resource Development at all academic levels in all departments and majors available in the university; facilitating utilization of IT in the learning process; availing the needed support and tools to strengthen the knowledge and skills of all participants in its activities. The center aims at bridging the digital divide between the university community and the Technology in education in general, by using and utilizing such technologies to promote and enhance the education process and delivery of courses. Excellence at offering services geared to a university environment competitive at the Arab World Level. Constructing an interactive electronic environment contributing to the achievement of good learning-teaching outcomes. Propagating e-learning culture at the University and the local community. Utilizing the most advanced techniques of communications and information. Developing the e-content of University courses. Developing the technical abilities of the Center staff. Developing the electronic expertise of the teaching staff in teaching and learning. Reinforcing the students’ e-learning skills to support critical thinking and responsible debate. Offering consultations and services to the local community. Accommodates different learning styles, and fosters learning through a variety of activities that apply to different learning styles. Fosters self-paced learning whereby students can learn at the rate they prefer and access any time, anywhere. Encourages students to browse information through hyperlinks to sites on the World Wide Web, and there by find information relevant to their personal situations. Develops knowledge of the Internet that will help learners throughout their careers. Smart Board 6. Data Projector and slide show. Data Projector and slide show. Up to date HP, duo Quad computers with 19'' screens. Permits instructors to develop materials using the World-Wide resources of the Web. Allows instructors to communicate information in a more engaging fashion than in text-based distance education programs. Convenient for instructors to access any time, any place. 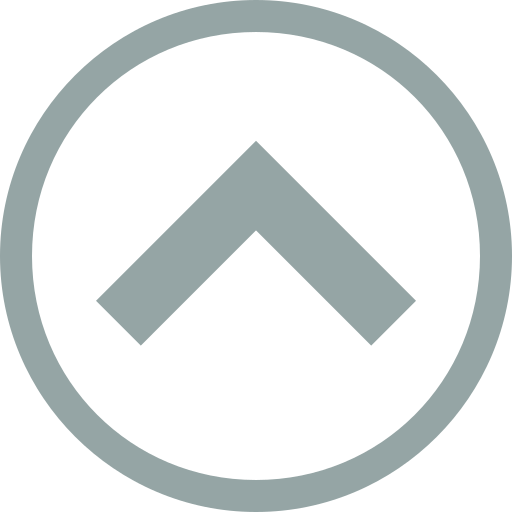 Allows instructors to package essential information for all students to access. Instructors can then concentrate on high level activities. Retains records of discussion, and allows for later reference through the use of threaded discussion on bulletin boards. Generates more personal gratification for instructors through quality student participation. Al-Ahliyya Amman University (AAU) is the first privately funded and managed university to be established in Jordan back in 1990. Since then, AAU has been a model for innovations in Higher Education, following on the latest developments worldwide and leading the way for true Arab novelty and quality. Al-Ahliyya Amman University (AAU)has taken a leadership position in Jordanian higher education market sector by implementing a university wide eLearning program that adopts an advanced model of blended education that allows the University to deliver first-class technology assisted education. 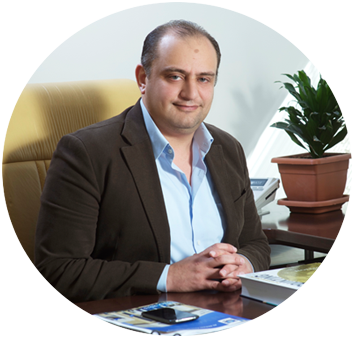 One of the elements of the AAU eLearning program is the “Hourani eLearning Center (HEC)“, A facility equipped with state of the art technologies to support advance education models and acts as the nucleus for delivering premium quality education to the Jordanian community. 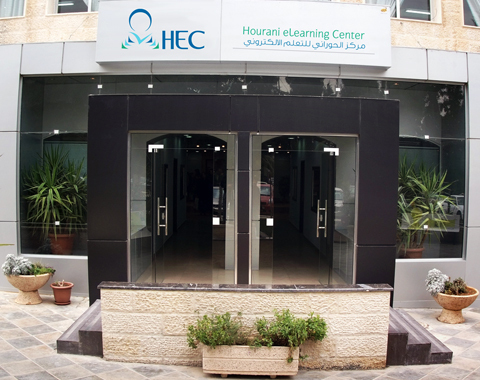 HEC is an awesome E-learning Center. HEC provides us with many wonderful useful services, as lecturers , especially their Learning Management System LMS!. It is friendly to use and very flexible. It’s great in that most lecturers use it to upload course materials and resources. The forums are particularly useful for asking questions about assignments, etc, and for general ‘brain picking’ of our lecturers! It has good assignment management features also – including assignment description, notification of due dates and submission forms. It is also an excellent tool to facilitate online learning (wikis, blogs, chat, Instant Messaging, quizzes) therefore it enhances the interaction with and among students including the lecturers. Moreover, it comes with privacy and security capabilities. أنه أفضل الطرق والوسائل لتوفير بيئة تعليمية تفاعلية لجذب اهتمام الطلبة وحثهم على تبادل الآراء والخبرا. أنه يمكن الطالب من تلقي المادة العلمية بالأسلوب الذي يتناسب مع قدراته من خلال الطريقة المرئية أو المسموعة أو المقروءة. أنه أفضل وسيلة في متابعة عملية التعليم و التدريب. تواصلي مع طلبتي بشكل أفضل وسهولة الاتصال فيما بيننا. Students may have the option to select learning materials that meets their level of knowledge and interest (i.e. documents, animations, videos ...etc.). Students can study anywhere they have access to a computer and Internet connection.. Flexibility to join discussions in the bulletin board threaded discussion areas at any hour, or visit with classmates and instructors remotely in chat rooms. Develops knowledge of the Internet and computers skills that will help learners throughout their lives and careers. اختصار الوقت والجهد بالنسبة للمتعلم والمعلم، حيث يتم توصيل المعلومات للمتعلمين بأسرع وقت، وبصورة تمكّن المعلم من تحقيق نتاجات الدرس كافة. تحسين المستوى العام للتحصيل الدراسي، وتوفير بيئة تعليمية جذابة. إثارة دافعية الطلبة للتعلم وتنمية الإبداع والتفكير لديهم وتوسيع الآفاق أمامهم للوصول إلى مواضيع إثرائية. Hourani elearning center gave me the opportunity to introduce new ways of learning for my students through the use of Moodle. The result was better communication and collaboration with my students and a better learning experience. I have found that Moodle easy to use, especially its graphical user interface which we are all familiar with, and you can you can include any activity , resource, quiz, etc in a given topic by choosing from the list of activities under the activity menu . Moodle has many facilities to enable the cooperation and interaction between students with the instructors or with other students. Moodle use some specific icons that help in understanding the nuances of course creation under the Moodle environment, such as the eye icon which hides and unhide a particular resource or activity, the up icon moves a resource or activity within the lesson up. I feel that you don't have to be a programmer in order for you to use it.